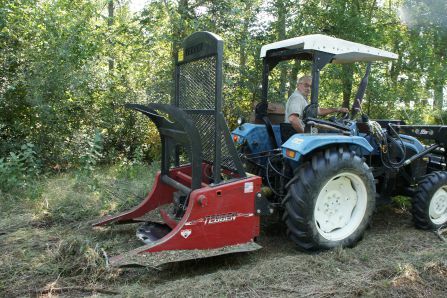 The Tebben Tree Saw is designed to cut trees up to 14" diameter at ground level and clear unwanted or invasive brush. 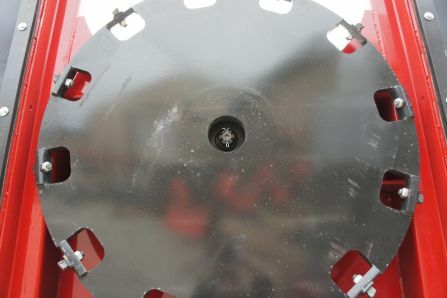 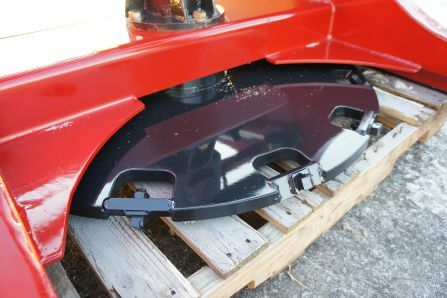 Twelve replaceable carbide teeth are mounted on a 40" diameter wheel. 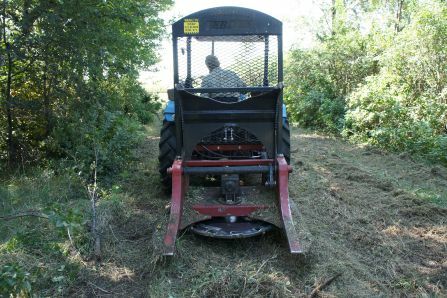 The Tree Saw features a 57" high brush guard with expanded metal to protect the operator from flying debris.